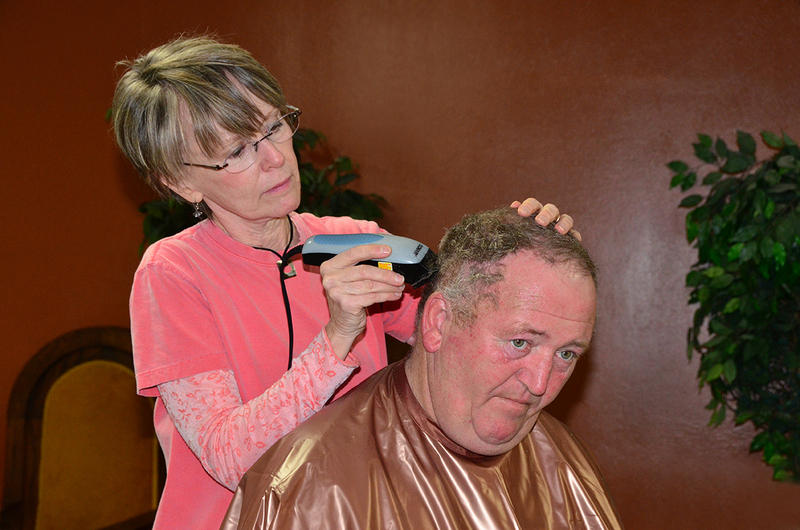 Free haircuts are very popular at HSC! 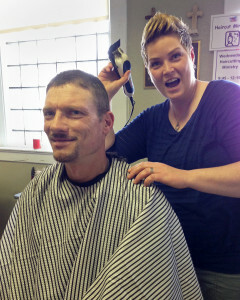 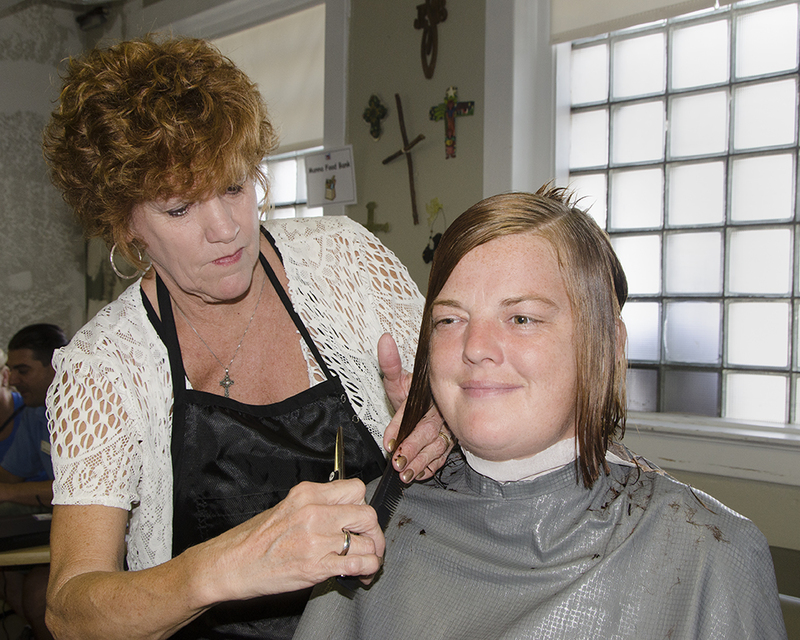 Trims are available from 9:45 a.m. – 12:15 p.m. on Wednesdays, and a waiting list usually forms quickly. 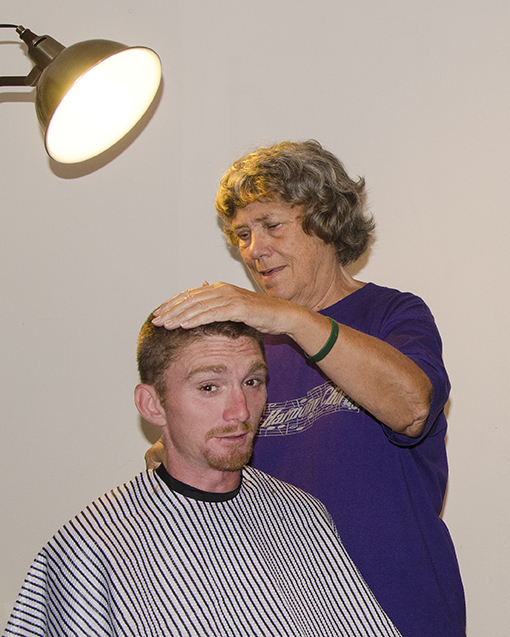 We are grateful for all our stylists, who work non-stop to keep their patrons looking spiffy. 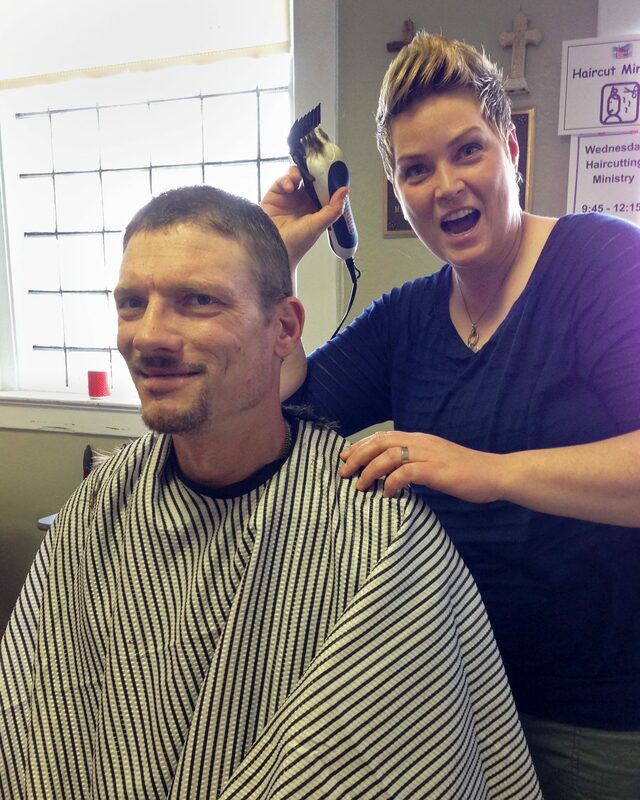 If you cut hair and are willing to help, please come join in the fun!